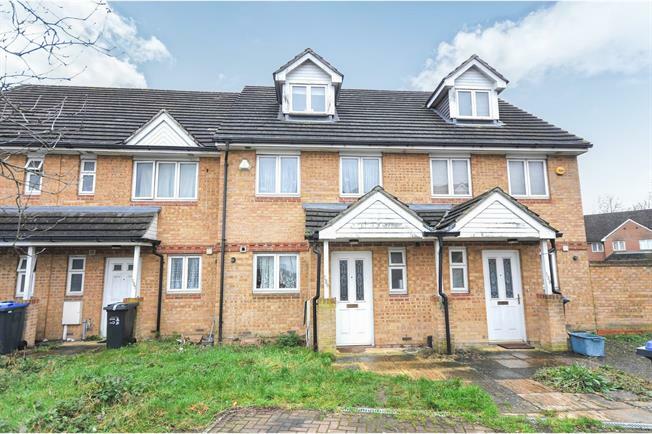 4 Bedroom Terraced House For Sale in Croydon for Asking Price £460,000. This light and airy family home is located in a quiet cul-de-sac location within close proximity to Waddon station. The property is laid out over three floors and has space to offer for all the family. To the ground floor is the entrance hall with W/C, fully fitted kitchen with an array of wall and base units, leading to the large reception room boasting patio doors leading to the mainly laid to lawn garden with patio area for alfresco dining. To the first floor are two good size double bedrooms with a further single bedroom and family bathroom with white three piece suite. Lastly to the third floor we have the master bedroom with large en-suite bathroom and fitted wardrobes. This property must be viewed to be appreciated.